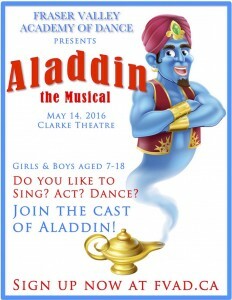 Last chance to be in Aladdin! | Join the FVAD cast now! Last chance to be in Aladdin! 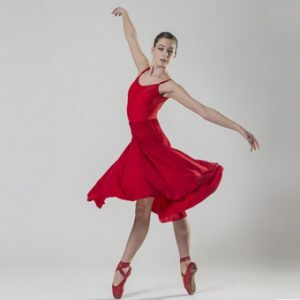 On Friday, September 11, registration will close for both the Junior and Senior Divisions of our Musical Theatre School. That means this is the last chance to join! 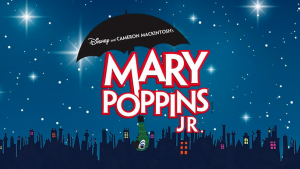 Students wishing to be in the cast of Disney’s Aladdin Jr, being performed at the Clarke Theatre on May 14th, 2016, have only this week to enroll. 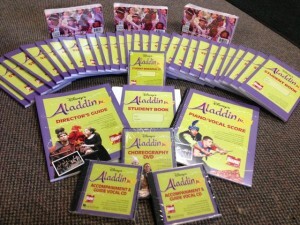 Previous Post: Disney’s Aladdin Jr Showkit is here! !